Turkey trot, turkey trot, run, run, run! Fifth grade boys near the start of the race. 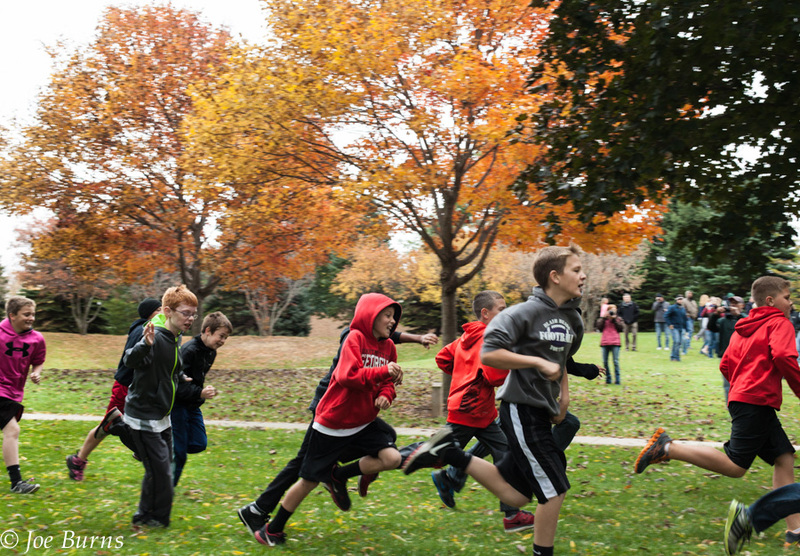 The Turkey Trot starting cry propelled the fourth and fifth graders from the starting line on the one mile fun run through the winding trails of the Arbor Park campus in Blair on Monday afternoon.